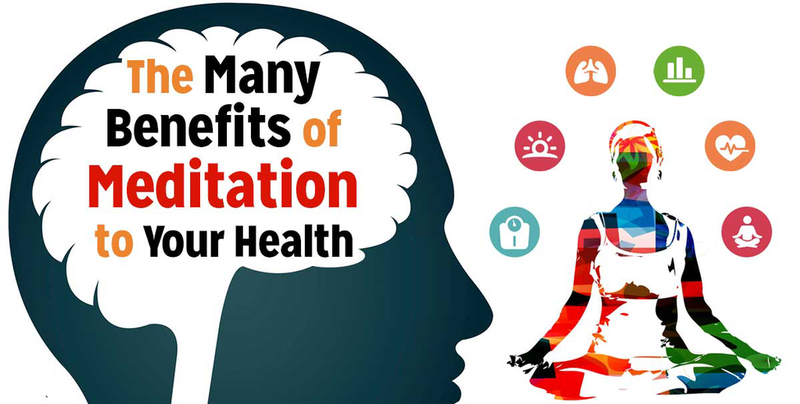 Meditation can have big health benefits. Sitting alone in a quiet room might give you more than a peaceful moment to yourself. That pause in your day could also help you reduce stress, ease , lower blood pressure, improve immune function or lift your mood. Such health changes may be possible through meditation, a centuries-old spiritual practice that’s gaining attention in the 21st century for tangible, not mystical, reasons. Although science and spirit seem unlikely partners, Western medicine is increasingly considering the benefits of using meditation in conjunction with traditional drugs or other therapies to heal modern woes. “A lot of hospitals have programs now as a complementary treatment for conditions,” says researcher Kimberly Williams, PhD, assistant professor in community medicine at West Virginia University in Morgantown. Studies have found positive results for meditation’s use to support treatment for both physical and psychological ills, she adds. Yet meditation is no quick fix. It takes time to develop the technique, and you have to practice regularly. What’s more, there are different types of meditation. All share certain traits, such as taking a comfortable position, focusing attention and ignoring distractions. Among the various meditation approaches, the practice known as mindfulness meditation”sometimes simply called “mindfulness”has emerged as the method gaining the most notice for helping to improve health. When we think of meditation, many of us still envision people meditating while repetitively murmuring a word like “om.” This mantra, or specific focus, is at the core of concentration meditations. In these modes, distractions are mentally pushed away. Science doesn’t yet know why this may provide health benefits, but it could be by creating changes in thenervous system and brain. By slowing down and taking a nonjudgmental view of your thoughts and feelings, proponents say, you become more aware and open, creating greater balance. Mindfulness builds your inner resources, allowing you to be calmer and more insightful when facing stress or difficulties. In an eight-week mindfulness meditation training study conducted by Dr. Williams and her colleagues, participants who completed the course reported a 44 percent reduction in psychological distress and a 46 percent lowering of medical symptoms. Developing a mindful approach through meditation often means fighting yourself. For mindfulness meditation to be effective, you need to take time out from your day’s activities, unhook from the steady stream of technological interruptions and recognize that being great at multi-tasking in your personal and work life isn’t necessarily wonderful for you all the time. Ask yourself why you want to practice mindfulness. Many people have a clear idea”they want to improve their sleep, lower stress, or solve a relationship issue. As you continue practicing, your intention may evolve, extending the mindful approach to other aspects of your life. 2. Make a commitment, even a small one. 4. Extend your mindful actions. Mindfulness practice can’t succeed if you compartmentalize it into one 5- or 20-minute session. Once you become comfortable with the practice, bring mindfulness into your daily life. Take time to appreciate the experience of simple actions, such as washing dishes, eating a meal or taking a walk. The more skilled you become at mindfulness meditation, the more seamless the transition becomes between your “official” mindfulness meditation and everyday experiences. It helps to have guidance, as you would in a yoga or spinning class. One good measure is to look for a teacher trained in the mindfulness-based stress reduction (MBSR) techniques developed by Jon Kabat-Zinn, PhD, and colleagues at the University of Massachusetts Medical School, Center for Mindfulness in Medicine, Health Care, and Society. Hospitals with integrative medicine departments are also good resources for meditation programs and instructors. If you’re experiencing severe, or consult with a mental health professional or other health care provider. Some are trained in MBSR and use mindfulness meditation along with talk therapy or medications. The relaxation response can be evoked by sitting quietly with eyes closed for 15 minutes twice a day, and mentally repeating a simple word or sound such as ”Om”.